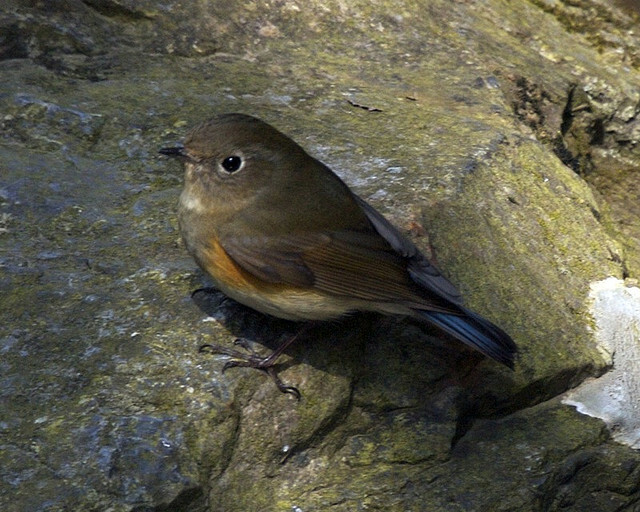 The Red-flanked Bluetail is a very rare vagrant in Western Europe. It breeds in northern Russia. The male is bright blue in summer. 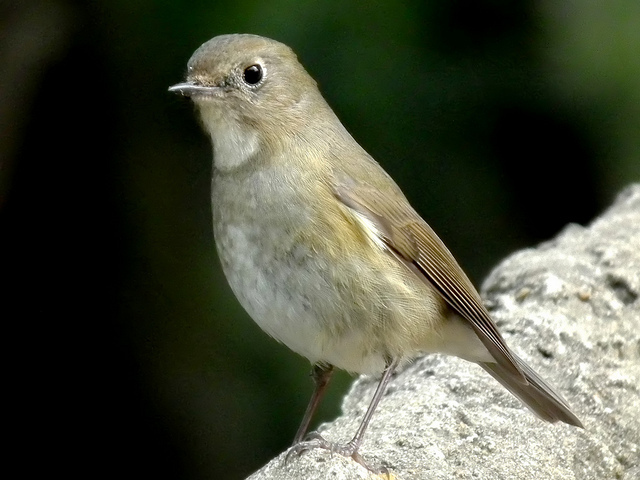 In winter both male and female are pale brown. Striking are the blue rump and tail.